TJ Kolesnik's Pro Model is here and it's making waves! 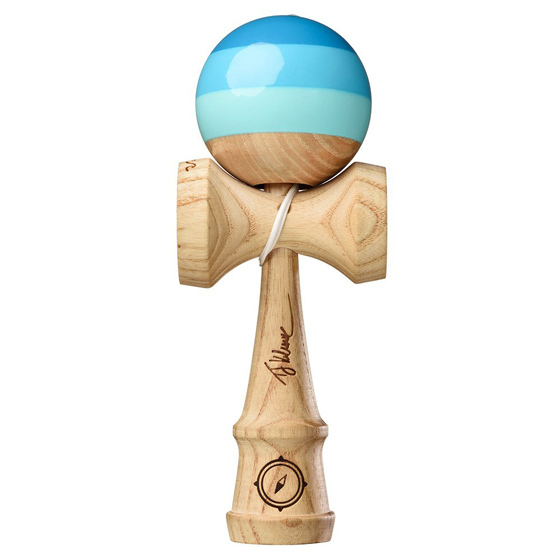 This pro model is the first Kendama we’ve made entirely of ash wood and the first quad striped tama design. The natural wood & blue gradient colors are inspired by the sand and the water when looking out to our deep blue seas. We’ve coated this model with our new updated Super Stick paint, so this Kendama lets you control the ebb and flow of your game. Keep your tricks locked in through the strongest of tides. This Kendama is personally designed by TJ Kolesnik, with several personal detailed engravings adorning the Kendama. It is an awesome kendama!